PIA를 주최하고 있는 한국의 케어필라테스사는 한국에서 필라테스 뿐 아니라 헬스케어 전반적인 분야와의 협력을 통해서 한국 피트니스 산업 발전에 일조를 하고 있습니다. 케어필라테스는 가장 진취적이며 선진화된 시설과 시스템을 주도하고 있습니다. 실험적인 도전과 시도를 적용시키고 한국 뿐만 아니라 세계에서도 적용할 수 있는 프로그램을 개발하고 있습니다. 그리고 필라테스와 다른 요법들의 믹스 관리가 가능한 공간까지 필라테스 기반으로 할 수 있는 모든 프로그램이 가능한 시스템으로 운영되고 있습니다. 서울 지역은 전 세계에서 가장 많은 필라테스 센터가 밀집된 곳입니다. 수도 서울에만 600개 가까운 센터가 있기 때문에 필라테스 센터들은 경쟁력 있는 마케팅 시스템이 필요하며 이러한 성공적인 관리가 전 세계에서 가장 활성화된 필라테스 산업을 가능하게 만들고 있습니다. 국제 강사들은 시설 뿐 아니라 케어필라테스사의 마케팅 전략과 고객 관리 프로그램을 설명 받고 컨벤션에서 사용하게 될 기구들의 기능을 사전에 익히게 됩니다. Care Pilates is contributing for development of Korean fitness industry, cooperating not only with pilates, but also overall health care realm. Care Pilates is leading world pilates industry in the advanced studio system and progressive marketing to apply to world standard programs. Customer managing program and pre-posture analysis are set to give proper and precise individual, group lesson program. Moreover cross over lessons of pilates and other methods is available in the space aspect. 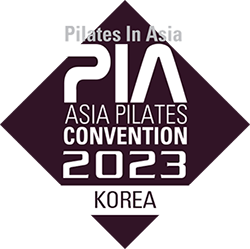 Density of pilates studio is highly concentrated in Seoul as research shows its number 600 studios, escalating them to compete hardly with the better marketing system and programs. That enables Korean pilates industry to be dynamic in the world. International presenters get to know the differences and features of Care Pilates equipment and the know-how of marketing and customer managing program.